Click on the images below for more details on each property. Grand Properties Real Estate & Management is your Northern Minnesota Real Estate connection for all your home buying needs. Whether you’re looking to purchase a home in-town or out-of-town, Grand Properties will put you at ease throughout the entire process. Our professional realtors service Northern Minnesota, specializing in the following communities: Grand Rapids, Deer River, Bovey, Calumet, Nashwauk, Keewatin, Taconite, Marble, Coleraine, Cohasset, Bigfork, Hill City & Hibbing. Grand Properties is the experienced realtor you need when buying land in the Grand Rapids area. There are so many options when purchasing land, having the best realtor in the area will make the process a pleasant experience for you. The Grand Rapids, MN area is abundant with tracks of recreational land. You are sure to find the perfect property for your needs. Whether it is hunting land, a buildable site, or a spot on the lake, we are sure to have the land you are looking for. Working with a Grand Properties Real Estate agent is your best choice when purchasing land in Itasca County. 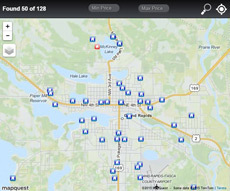 Grand Properties specializes in lake homes, cabins & lake lots. Itasca County boast some of the most incredible lakes in Minnesota including; Pokegama Lake, Deer Lake, Trout Lake, Wabana Lake, Blue Water Lake, and many more. Let us assist you in making your lake life dreams a reality. Cabins and year-round lake homes are abundant in the Grand Rapids area. Let us help you find the perfect lake home for you and your family. Make your lake home dream a reality today with Grand Properties.